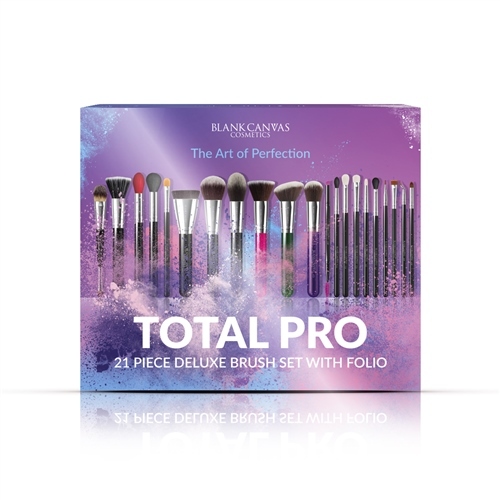 The Total Pro Deluxe 21 piece set is a complete brush made up of a mix of natural and synthetic super soft, high quality brushes. This set contains 21 super soft brushes and a faux leather folio. The Pro Deluxe 21 piece set is a complete brush set, covering everything from foundation to concealer, blusher to bronzer, eyebrows to lips- this set has everything you need!